A couple has left internet users in awe after doing the unexpected. 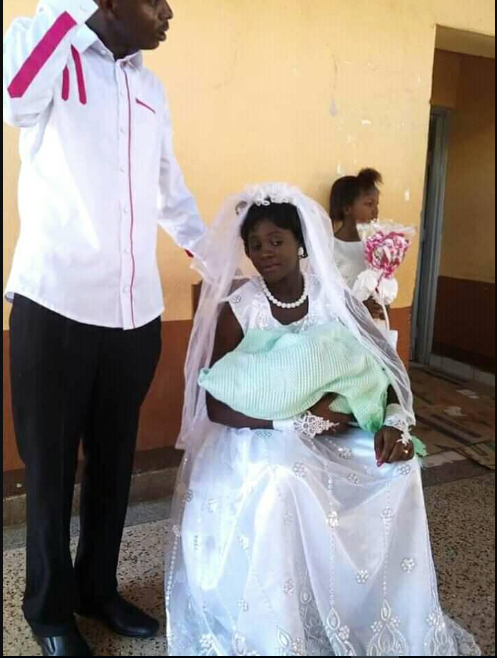 The pair decided to tie the knot in a hospital after the bride delivered a bouncing baby boy. 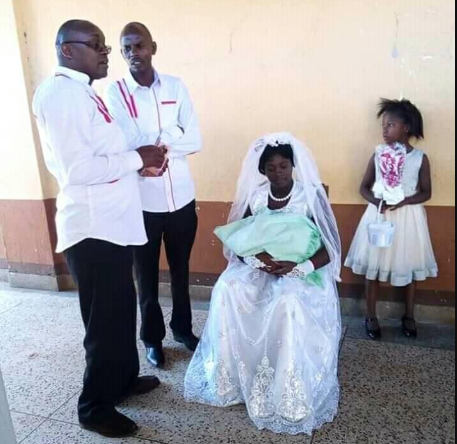 The couple identified as Francis Mungai and Veronica Kainu, got wedded at Thika Level 5 hospital in Kenya. According to Thika Town Today, the Kenyan couple welcomed their son on Thursday, January 17, forcing the new mum to spend her nights in a hospital bed. Veronica had just delivered her baby through cesarean section and was not in shape to be discharged. Before the arrival of their son, the pair was set to wed on Saturday, January 19, but their plans fell through when their son arrived earlier than expected. “We had no alternative but to do our wedding here. The doctors told me that my wife was not in a position to go home for the wedding and so I requested them to permit us go ahead with our plans from within the compound,” the groom said. Veronica was ecstatic as she explained she never saw this coming and was beyond grateful to welcome her son and new life as a married woman. “I really never expected that this will happen. I am very happy that I delivered safely and we have now crowned the joy of welcoming our newborn son with exchanging our wedding vows. I only have God to thank for everything,” she said.